Newcomer Summer, a young woman who grew up in shelters and then attended Harvard, movingly evokes the plight of the homeless. A natural writer, Summer begins her story with her 1976 birth in California, where her mother, married to another man, had had a brief affair. Her father paid her mother $4,000 but had no contact with them. Summer recalls how, as they moved from Oregon to California and then finally to Boston, her mother increasingly couldn’t hold a job, and they had to rely on public assistance. She often subsisted on government-issued stale honey and peanut butter while growing up in shelters and public housing. The author is frank about her mother, a gentle, eccentric woman she dearly and loyally loved, though she was often angered by Mom’s inability to take care of her. The numerous moves, inadequate housing conditions, and insufficient food made schooling difficult, and Summer’s grades suffered. Then in her Boston high school she met Mr. Mac, one of those remarkable teachers who change lives. He encouraged her to apply to Harvard. There, knowing firsthand how easy it is for people to become unemployed and homeless, Summer was shocked while attending a freshman meeting to learn that her peers, all educated at elite institutions, thought of diversity only in racial terms. Not one knew any member of the white working class. Though she had difficulties adjusting, she eventually made friends, joined the previously all-male wrestling team, and finally made contact with her father, about whom she writes, “I have learned it is better not to live with anger, not to dwell in disappointment.” As well as telling her story with insight and a remarkable generosity of spirit, Summer quietly but insistently explores the meaning of the word “home,” chronicling her efforts to reconcile the intellectual and worldly home she found at Harvard with the one provided by her mother. 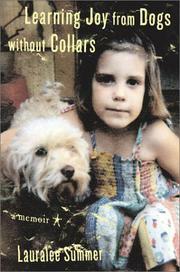 A rare memoir of hard times that is both forgiving and perceptive.